Wentworth – Season 6 (2018) – What's New on Netflix Canada Today! 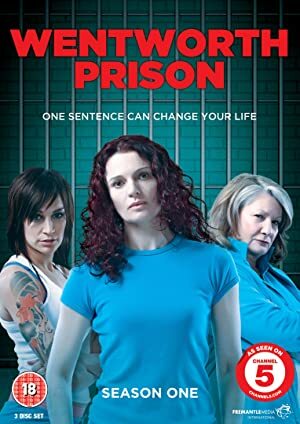 Fans of the iconic Prisoner Cell Block H series, which pushed boundaries over three decades ago and still boasts a loyal following worldwide today, will remember Bea Smith as gutsy and fearless, ruling Wentworth Correctional Centre with an iron fist. But who was Bea Smith before prison? How did a wife and mother from the suburbs become a top dog without rival? Wentworth Prison is a dynamic, often confronting, drama series that begins with Bea’s early days in prison. Set in the present day, it is a modern adaptation of Prisoner Cell Block H that contemporises legendary characters and their stories for today’s audience. This series takes the viewer inside to an uncompromising environment that explores the politics of women in a world without men, and how such a threatening experience both challenges and often changes those confined and working behind the razor wire. The audience will be introduced to Bea all over again and meet her allies and enemies in the form of iconic inmates: Doreen Anderson, Liz Birdsworth and Franky Doyle, and there are new faces such as Jacs Holt, the ruthless matriarch of a crime family who now reigns over Wentworth. Favourite offices will also return. Meg Jackson carries a shameful secret; Vera Bennett, the well-meaning officer who discovers everyone has a price; Erica Davidson, the crusading Lawyer and Matthew Fletcher who believes in retribution rather than rehabilitation.